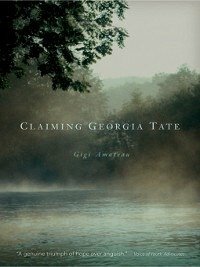 "It's rare and exciting to discover a talented new writer like Gigi Amateau." — Judy BlumeTwelve-year-old Georgia Tate wishes she could stay home in Mississippi forever with her preacher granddaddy and her best friend Ginger. After losing her nana to a heart attack, she desperately wishes she could tell her granddaddy why she can't possibly move in with Daddy — about the things he does that make her feel so ashamed. With a vivid narrative voice, Gigi Amateau tells an unflinching tale of a sensitive girl caught in the trauma of incestuous abuse. But it is also a story of survival — an ode to the solace of family, the mercy of strangers, and the possibility of hope and healing. I was born October 20, 1964, in Ripley, Mississippi. I cherish having lived my early childhood in Mississippi and having visited my grandparents there every summer and at Thanksgiving. Most of my growing up I did outside of Richmond, Virginia, in Mechanicsville. I went to college at Virginia Commonwealth University—an open, urban, diverse campus—and majored in urban studies and planning. My experience there was like living in a lab where we could study the city—its history, influences, and dynamic nature—every day. I still live in Richmond with my family. Not too far from our home we also keep our pony and some cows, so we have the city and the country in our lives. I love writing and I love the creative process, though it's tough to describe because the imagination seems to work differently with each story. Sometimes I feel as though I'm listening to a story unfold in my mind; sometimes I watch it and then write it down. Other times it's as though the story is hidden inside the world around me, not so much the world inside me, and my delightful job is to uncover it. I find that writing comes easier to me when I connect my work with physical activity—gardening, walking, dancing, doing yoga, swimming, or even riding a horse. I write about grandparents, mothers and daughters, horses, the earth, love, and personal faith because these things matter most to me. 1. One of my favorite poems is The Prayer, by Mikhail Lermontov, which I can recite in its native Russian. 2. I love to watch basketball, especially my VCU Rams. 3. Someday I might like to become a yoga teacher or a librarian or an ornithologist.